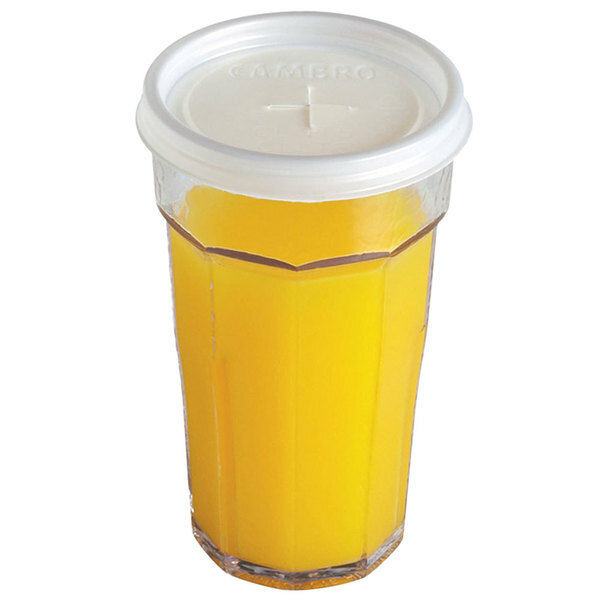 Convert your plastic tumblers into cool kids' cups, while avoiding spills with this Cambro CLLT6 translucent disposable lid! 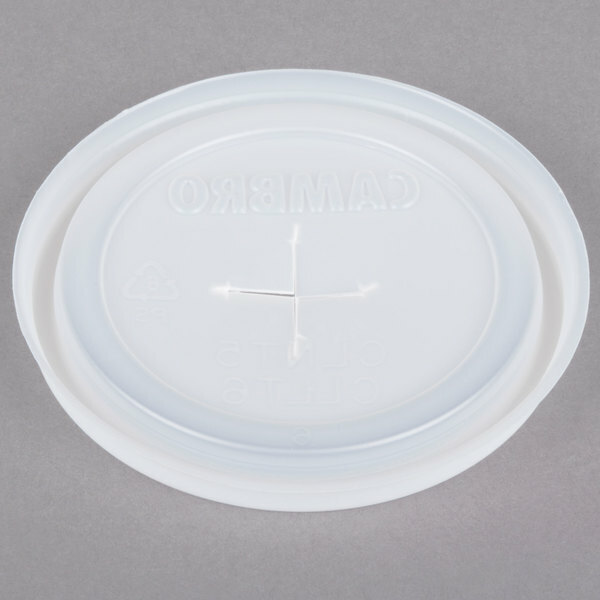 Made of sturdy, high impact polystyrene plastic, these single-use disposable lids ensure a secure fit, preventing possible leaks or liquid messes at your restaurant. 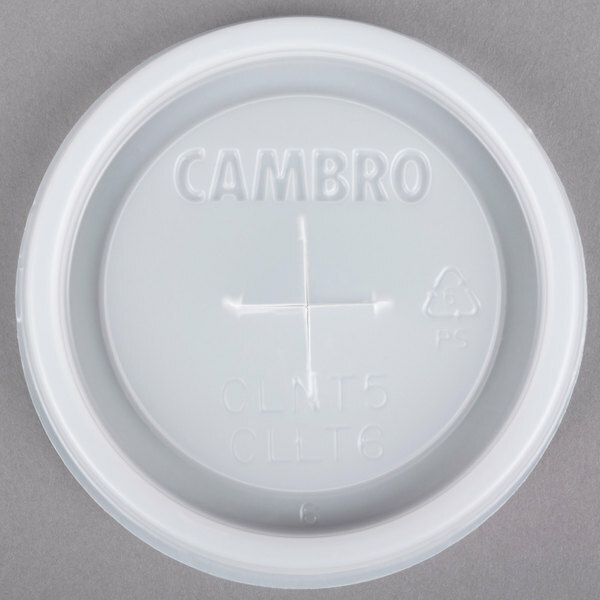 The lid's neutral design and durability also makes this lid great for healthcare facilities. Nurses can easily insert a straw (sold separately) into the designated slot, allowing residents and patients to easily sip their beverage. 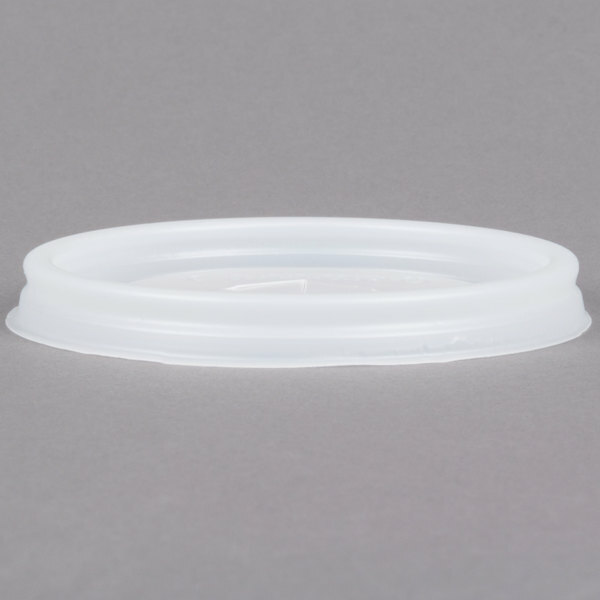 Provide easy storage and display of these stackable lids in your kitchen or dining hall. Help save the environment by reducing use of single-use plastic or foam cups, instead simply place this lid on top a reusable tumbler for a great "green" alternative. 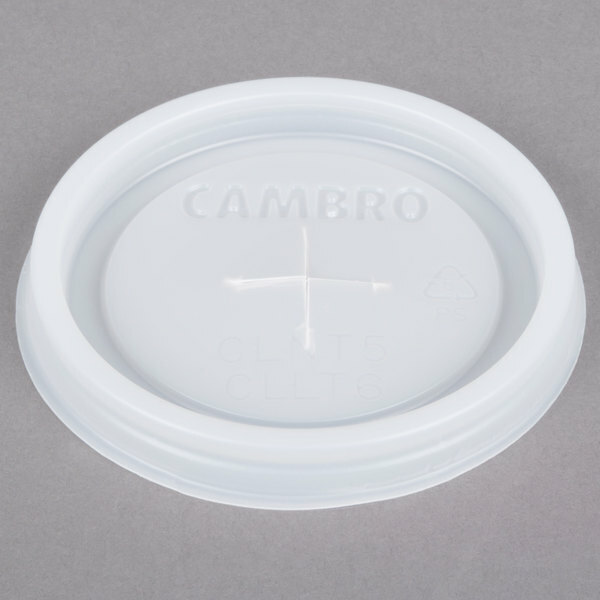 These lids fit on Cambro's LT6 Laguna 6 oz. tumbler.